2018 has been another busy year with strong sales establishing us as the premier place to buy used Motorhomes and Caravans in North Devon. 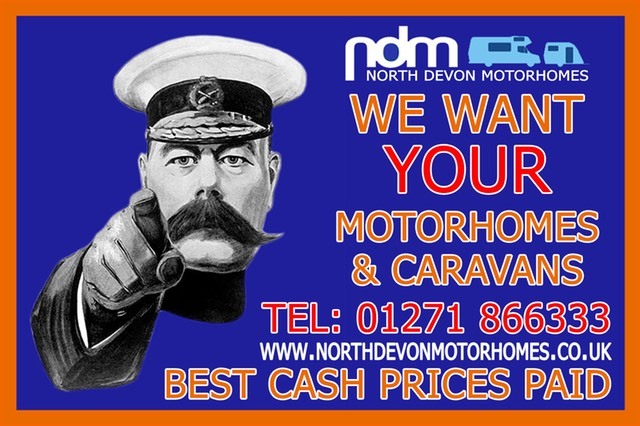 Our Aim being to supply Affordable Quality Motor Homes and Caravans to the North Devon Region. Hand picking just the select few seems to be a winning formula, although being particular can sometimes lead to a shortage of stock. All our used Motorhomes all come fully mechanically serviced with a new Cam Belt, if required within manufacturers service period. Both used Motorhomes and Caravans have a full Habitation Service, Gas Safety Check and carry a one year transferable warranty. Here at North Devon Motorhomes, we pride ourselves in providing most all of the standard kit required to enable you to operate our used Motorhomes and Caravans, enabling you to set off on your holiday! Used Motorhomes include such items like a full gas bottle, 240 volt hook-up lead etc. 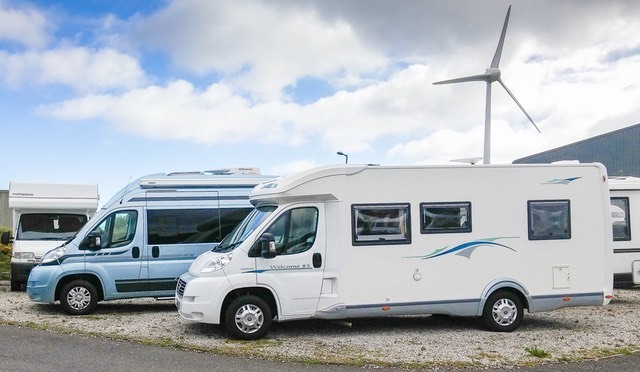 Whereas used Caravans, apart from a full gas bottle and 240 volt hook-up lead also carry additional items such as leisure battery, water pump, fresh and waste water bowsers. We are always on the lookout for good clean tidy genuine vehicles and will often travel far and wide to ascertain our customers needs. So if you are in the market to sell your vehicle, please give us a try, a polite and courteous service is guaranteed.